They danced to Vengaboys' hit Boom, Boom, Boom, Boom!! The video has collected more than 1,500 shares on Facebook. If growing up you heard, sang along to and danced to songs by Vengaboys, this video will make you extremely happy. A clip posted on Facebook shows a street full of strangers starting an impromptu dance party right on the road after a car played the band's hit Boom, Boom, Boom, Boom!!. You've already started humming the song, right? The clip, part of a live video on Facebook, was shared by UK resident Jordan Cairns on June 4. The video shows a car playing the song on full volume as it drove around a street. It shows people enjoying the song and eventually dancing together once the car stopped. According to Gloucestershire Live, the incident took place in Cheltenham. "One of my friends is a DJ so we put some speakers on the roof of my car. 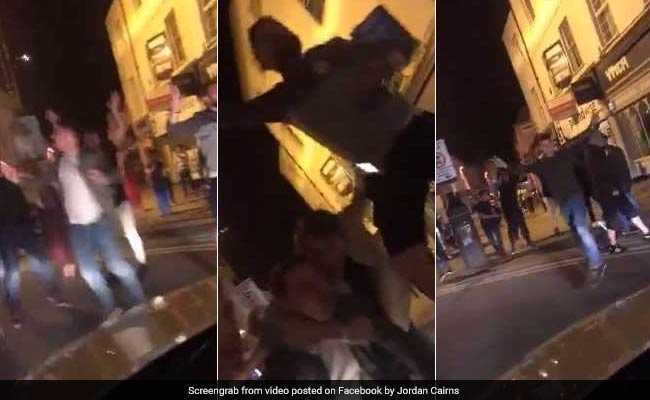 So we drove around and people started to dance when we stopped," Kieran Chapman, 23, who was one of the drivers, told Gloucestershire Live. He added that no one driving the car had been drinking. He explained that the dance party was a way to bring people together, reports Gloucestershire Live. Since being posted, the video has collected over 92,000 views, almost 2,000 reactions and more than 1,500 shares on Facebook. "This is just ace! Lots of laughter and fun, just what people need to see at the moment," says one Facebook user. "Nice one! And thanks for the sound that will be in my ears the next few hours," says another.